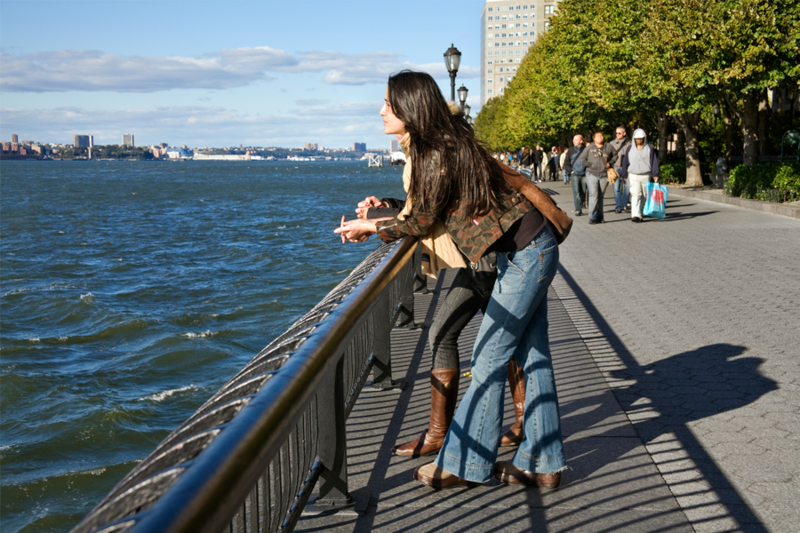 Created from fill from the construction of the original World Trade Center towers, the site that is now Battery Park City was originally devoid of natural features, such as topography, vegetation and microclimatic diversity. 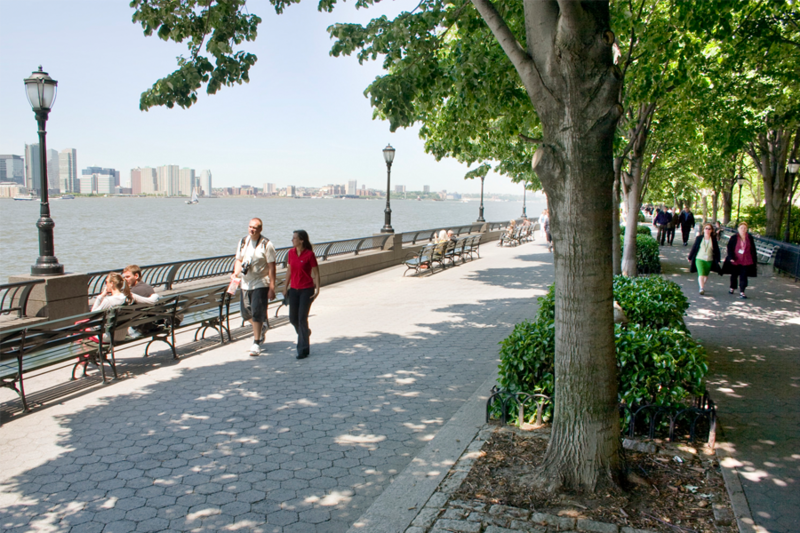 Today, the 92-acre residential and commercial development encompasses an extensive public open space system, including a riverside esplanade, several miles of streets and a number of parks and squares. To make certain the new development would relate appropriately to its context, local parks were researched. This study produced a vocabulary of quintessential pavements and site furnishings that characterize New York City’s public realm—hexagonal asphalt pavers, cobble tree planting strips and continuous wooden benches around planting beds—all of which were incorporated into OLIN’s design guidelines.